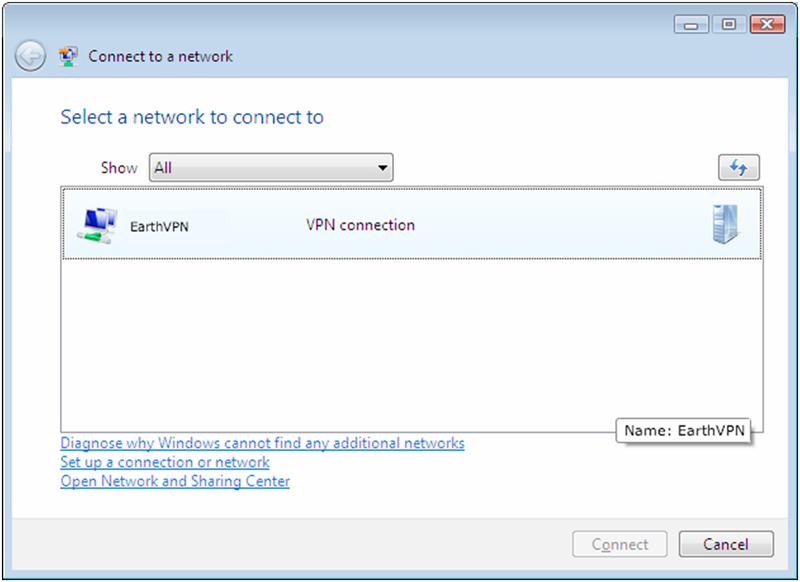 Setting up EarthVPN access under Windows Vista is simple. The following instructions go step–by–step through the creation process. These instructions work under all the client–side variations of Windows Vista, namely Home Basic, Home Premium, Business, and Ultimate. The things to click and places to type your information are hilighted in red, yellow, green, and/or blue. 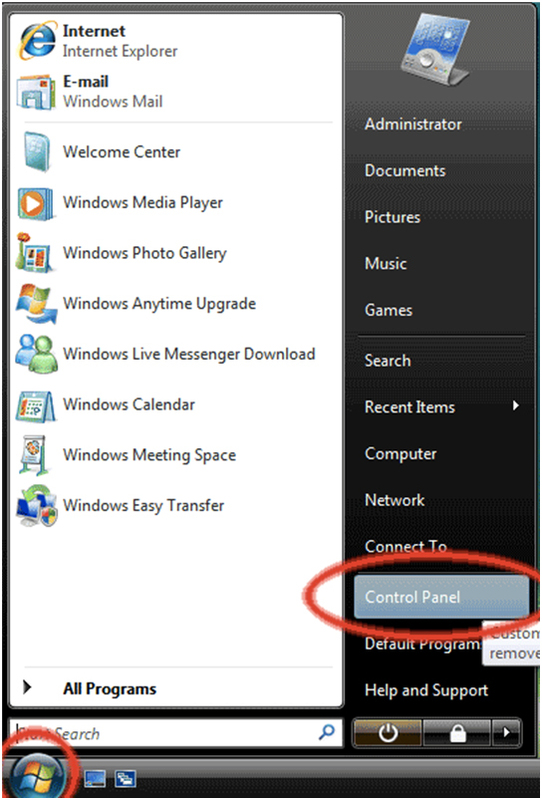 Step:1 First, click on the Start button and click “Control Panel”. 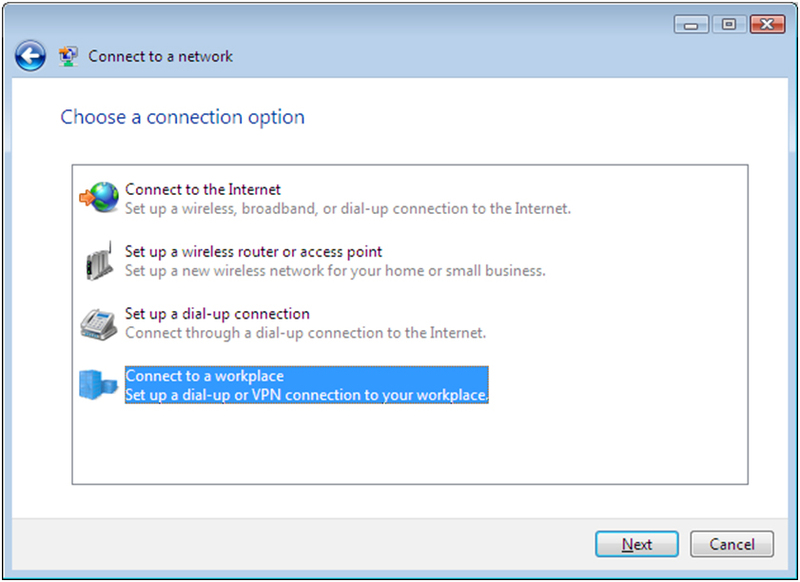 NOTE: If prompted for “Do you want to use a connection that you already have?”, select No, create a new connection and click Next. Step:6 Now, enter the server information. In the text box labelled ‘Internet address’ type EarthVPN Server Address. This is the Internet address of the EarthVPN servers. In the text box labelled ‘Destination name’ type EarthVPN. 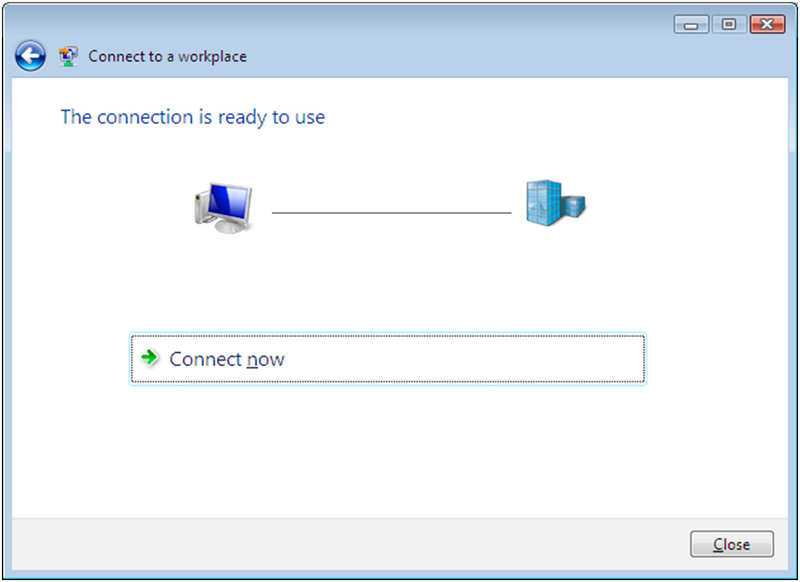 This is the name of the connection, and will show up in the “Connect to a network” screen when we’re done. 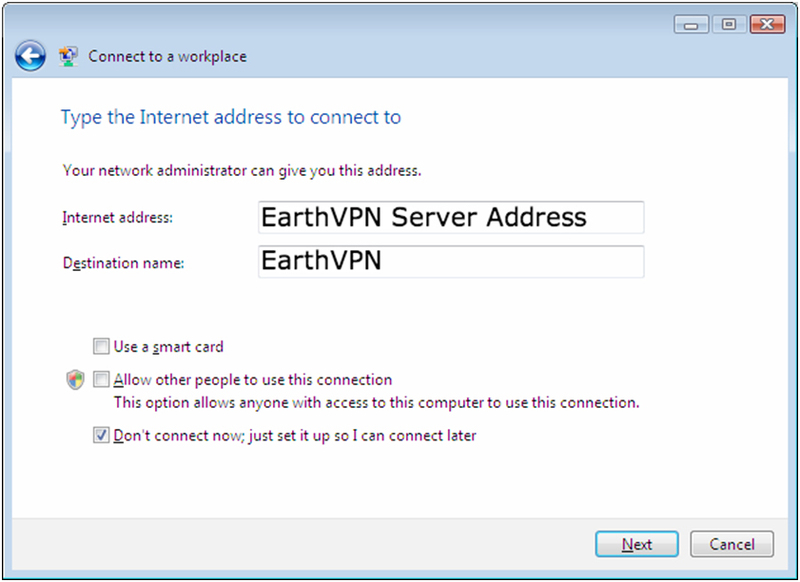 Step:7 In this screen, enter your EarthVPN username and password. 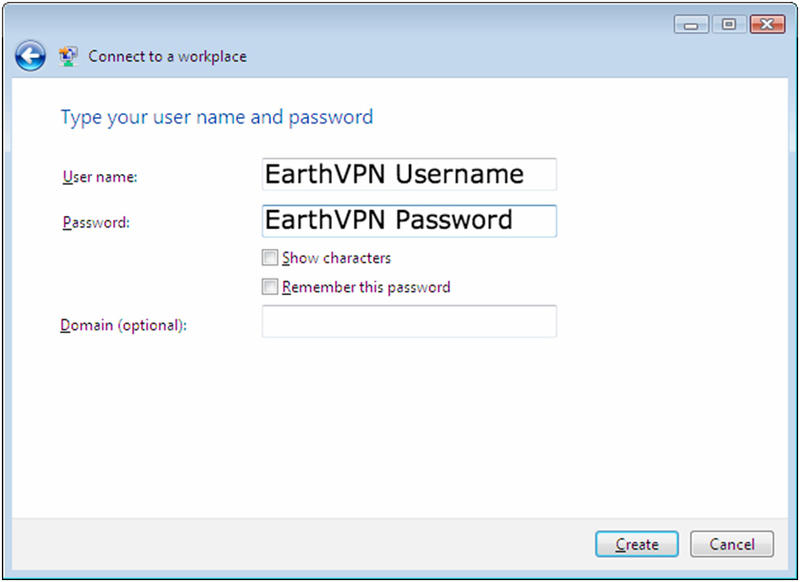 In the text box labelled “User name:” enter your EarthVPN username. In the text box labelled “Password:” enter your EarthVPN password. Optionally, check the “Remember this password” checkbox and you won’t have to enter your password when you connect to EarthVPN. Then, click the ”Create” button. Step:8 You should see this screen next. 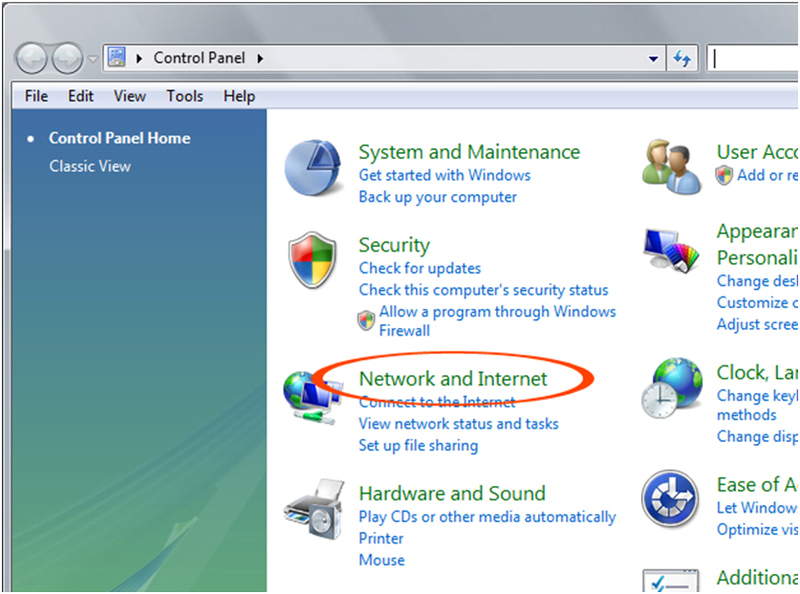 Click the “Close” button to return to the “Network and Internet” screen. 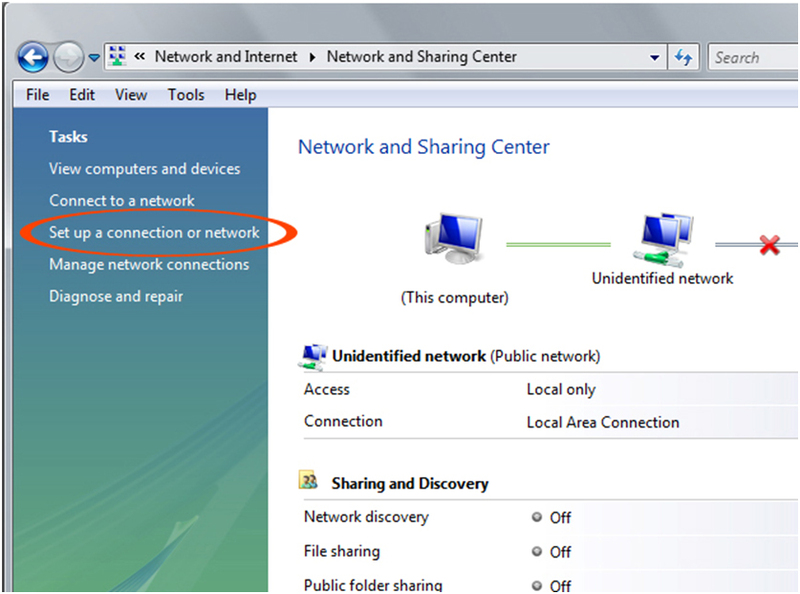 Step:9 To connect to the VPN server after creating the VPN Connection, click on Start, then Connect to. 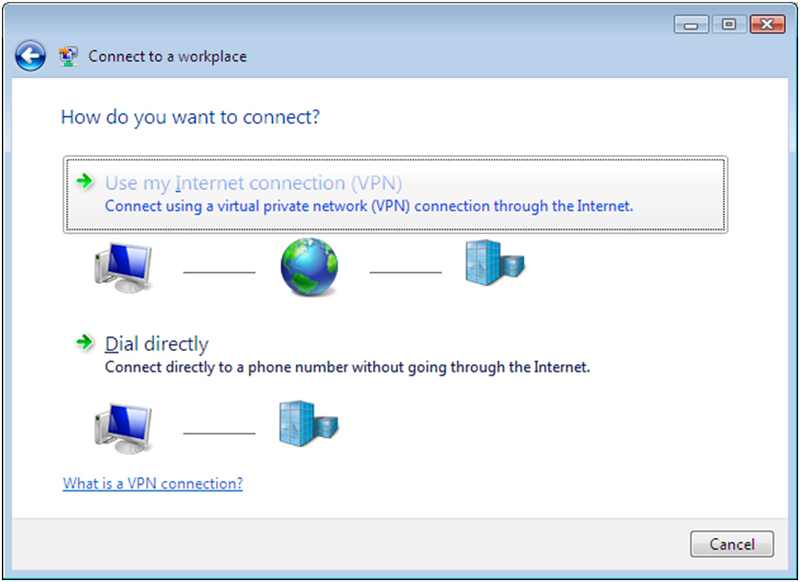 Select the VPN connection in the window and click Connect. However, you probably should click ”Cancel”, because most public locations require you to click through an agreement before you can access the Internet — meaning that any connection you attempt will fail. Instead, you should just connect manually.